Posted in: Sicily, Syder Travel Blog. The “Ariva II” gulet is a great 25 meter long, wooden sailing boat, built with the most modern techniques and boasting a traditional design.Built by the most prestigious Turkish shipyard in Bodrum, Ariva II is a classic Turkish square stern gulet: it is a very robust and seaworthy boat, with teak bridge and ketch sail plan (two masts) with gaffs, jib and fore sail. The onboard spaces available to guests are superior than the usual sailing boats. The stern deck is used as a covered veranda with an awning, a table and a sofa with cushions for eating or relaxing outside. At the center of the boat, there is a large indoor room with dining table and bar, lounge area with TV, VCR, Hi-Fi stereo and a variety of games. This room gives access to the cabins below deck, all equipped with double bed (two with double bed and one with single bed), private bathroom with shower and hot water, and air conditioning. The kitchen is located on the upper deck with access from the indoor room. The bow offers a comfortable sun deck, a sofa with pillows which is very much appreciated by those who love sunbathing and the “sweet doing nothing”. During the Ottoman Empire, these boats were used for transporting both goods and persons, sailing the Aegean Sea, from the Bosphorus to the Black Sea, from the Turkish coast to Greece and the Adriatic Sea, the Ionian Sea, all Sicilian islands, the Aeolian and Egadi Islands, along the Tyrrhenian Sea to Sardinia, the Pontine Islands, the Tremiti and Corsica. Posted in: Syder Travel Blog, Syria. 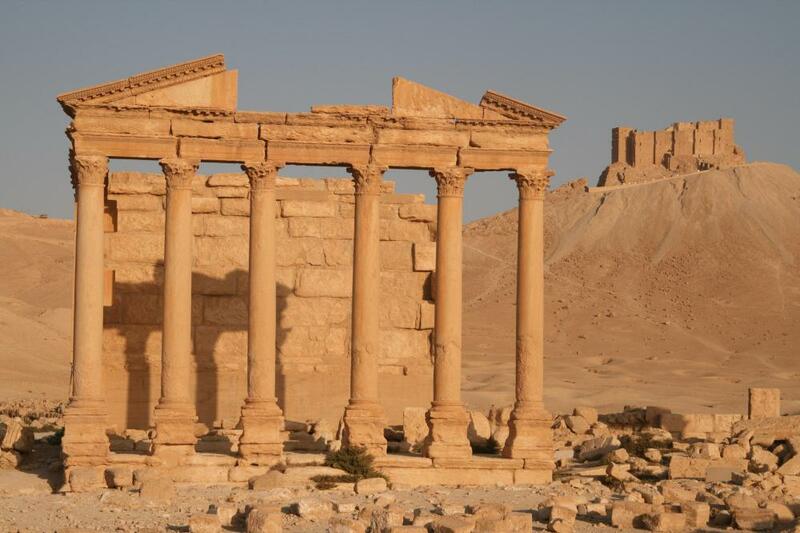 Today’s release of pictures showing damage to the ancient desert city of Palmyra by the BBC from Reuters news agency are in some ways a huge relief. A relief in that the landscape of the city as a whole remains intact. It could have been far worse. 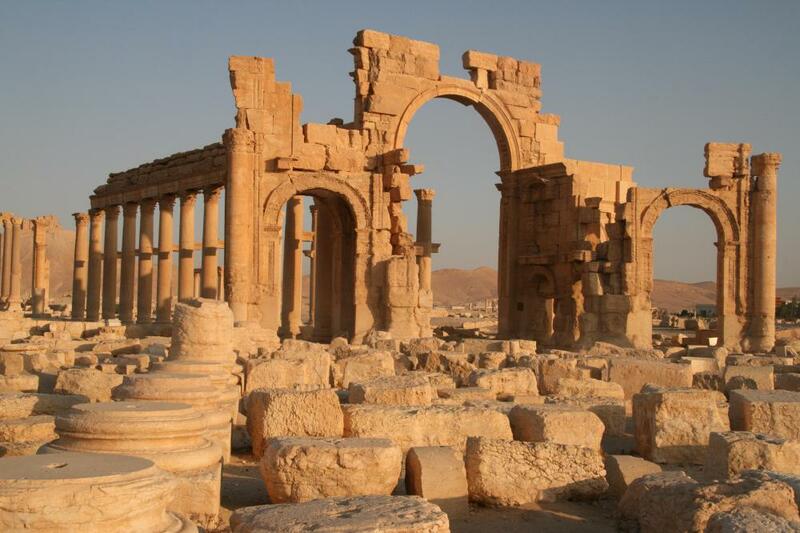 However the specific monuments that were targeted as in the Temples (apparently idolatrous to IS beliefs) and the once stunning Triumphal Arch (idolatrous? really…..) have been utterly destroyed. Whilst the BBC’s intention was to provide information to the viewer I dont see how one can get a complete idea of the scale of destruction unless one has something to compare it against. I have done that here. Please forward this to anyone you feel would be interested to see. There are links below to help. The Temple of Bel complex. Picture was taken in May 2009. Only a doorway now remains……. 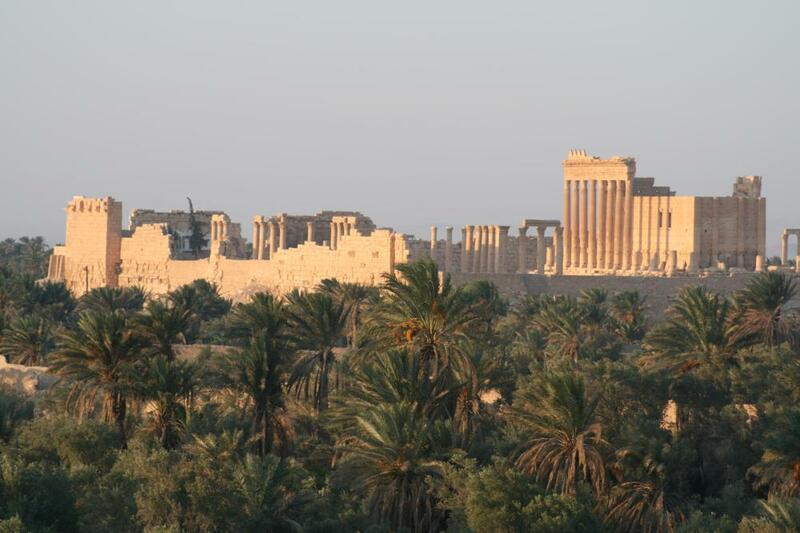 The Temple of Bel, March 2016. Only the doorway remains standing. These evocative funerary towers had stood for over 2000 years before ISIS dynamited all of them last year. Posted in: Africa, Ethiopia, Syder Travel Blog. Samson Tilahun (Sammy) is my guide (and a dear friend) in Ethiopia. He graduated from Hawassa University as well as the Institute of Tourism in Addis Ababa, specializing in Ethiopian History & Cultures, Agriculture and Tourism. He speaks English, Amharic and Oromifa (the national and local language of Ethiopia). He has lead tours for numerous passengers including journalists, photographers and film crews from all over the world. Sammy has recently been acknowledged in a published novel by Manola Lizy titled “Ethiopian Highlands” and also in an article by Anna Murphy titled “Holy days and Highland Rock Churches of Ethiopia”. With Sammy’s passion for History, Archaeology, Photography, Anthropology and Birdwatching combined with his incredible guiding experience, you will have an unforgettable adventure! Posted in: Iran, Syder Travel Blog. Could open conflict now be one step closer between the two big regional powers in the Gulf? This week has seen tensions between Saudi Arabia and Iran rise to dangerous levels following the Saudis’ execution of a Shia cleric and the subsequent storming of the Saudi embassy in Tehran by an angry mob. The BBC’s Frank Gardner, whose attempted murderer was also executed by the Saudis last weekend, examines the historic enmity between the two regimes and assesses whether they can ever settle their differences. In Saudi Arabia, a country that last year put to death a record 153 convicted prisoners, there has rarely been a more controversial execution in recent years. Amongst the 47 condemned men whose sentences were carried out simultaneously on 2 January one name stood out from all the others. Sheikh Nimr Al-Nimr, a firebrand Shia cleric and popular figurehead for thousands of disaffected Saudi Shias living in the country’s Eastern Province. Arrested in 2012 in the wake of the Arab Spring uprisings and charged with “disobedience to the ruler” and bearing arms, Al-Nimr’s supporters insisted he only ever called for peaceful protest and fair rights for the Shia minority. His critics, including Sunni hardliners, called him a terrorist, while the Saudi government suspected him of being an agent of Iran. Of the 47 people executed that day, 43 were Sunnis and most of those were extremists. One was the last surviving criminal from a gang that attacked our BBC film crew in Riyadh in 2004, killing my Irish cameraman Simon Cumbers and putting six bullets into me and crippling me for life. Yet it was the death of the Shia cleric Al-Nimr that was always going to be the most inflammatory in a region already beset with sectarian fault lines. There have been angry protests by Shia in Bahrain, Iraq and Lebanon. In Iran, a country ruled since 1979 by Shia clerics, and which reportedly executed nearly 1,000 of its own people last year, the Supreme Leader, Ayatollah Khamenei said the Saudi leadership would face “divine revenge”. Optimists hoped that was a subtle way of absolving Iran from having to take any action itself. But within a day an Iranian mob had vented its fury on the Saudi embassy in Tehran, setting it on fire and prompting Riyadh to sever all diplomatic, trade and transport links with Iran. For the hardliners in the Iranian regime, wary of their country’s coming return to the world stage, this was probably a relief. But for moderates and pragmatists keen to see last year’s nuclear deal ratified and billions of dollars unfrozen, the embassy storming was an embarrassment they could have done without. One by one, Riyadh’s allies – Bahrain, Sudan, Kuwait, Qatar and the UAE – have taken their own punitive measures against Iran. Saudi-Iranian relations are close to their lowest ebb for 30 years. So where did this Saudi-Iranian hostility spring from and is it all about religion? As a nation, Saudi Arabia has only been in existence since 1932 but the land it governs – most of the Arabian Peninsula – is the birthplace of Islam and home to its two holiest shrines, in Mecca and Medina. In the early years of the Islamic conquests in the 7th Century AD Muslim armies burst out of Arabia to defeat the Persians, ending their Sasanian Empire. Later on in that century, following the death of the Prophet Muhammad, a dispute erupted over who should succeed as “khalifa”, or caliph, to rule the burgeoning Islamic empire. A breakaway group believed it should have been Ali, the Prophet’s cousin and son-in-law, who was assassinated and his two sons denied the succession. The group became known as “Shia Ali”, the party of Ali, and Shias still harbour this historic grudge. Today they are in a majority in Iran, Iraq, and Bahrain. But in more recent times, the Saudi-Iranian rivalry has been primarily about power play, sparked by Iran’s Islamic Revolution in 1979. Before then, while the Shah of Iran was on the throne, relations were cordial and the Arab Gulf states were content to let Iran’s navy act as “the policeman of the Gulf”. Hence the American term coined at the time, calling it “the Persian Gulf”. Western expatriates living in either Iran or Saudi Arabia enjoyed a relatively relaxed, liberal lifestyle with frequent alcohol-fuelled parties in both affluent north Tehran and in the housing compounds of Dhahran. 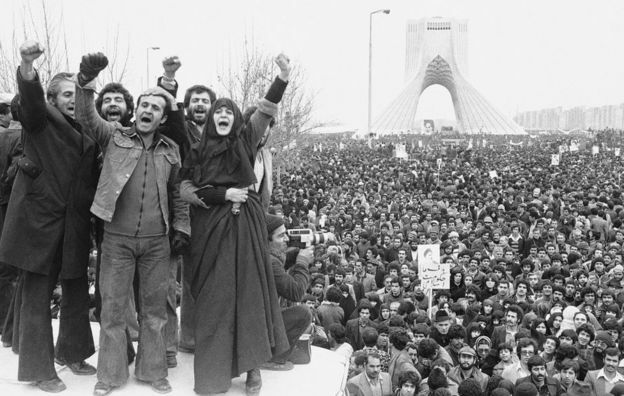 That all changed with the Iranian revolution. Suddenly, a competition emerged to prove which country was most worthy of leading the Islamic world. As Iran’s new rulers vowed to export their Islamic Revolution and undermine what they saw as corrupt, unworthy princes, Saudi Arabia outdid itself to crack down on anything deemed to be un-Islamic. The final straw was the brief storming and occupation of the Grand Mosque in Mecca by a dissident Islamic group. The Al-Saud regime was shaken to the core and decided its key to survival was to cement its ties with the austere Wahhabi religious establishment, giving the clerics a huge say in areas of public life like education, justice and social mores. Iran’s allies now include Hezbollah in Lebanon, Syria’s President Assad, and the powerful Shia militias in Iraq, such as Asa’ib Ahl Al-Haqq, the same group that kidnapped five Britons in Baghdad in 2007 and murdered four of them. The Saudis believe that what they call Iran’s “meddling” in the region extends to other countries too, giving them a degree of paranoia. They accuse Iran of fuelling Shia discontent in Saudi and Bahrain and of backing the Houthi rebels in Yemen. Iran’s rulers for their part accuse the Saudis of bankrolling such an extreme, intolerant brand of Sunni Islam that they hold them responsible for the rise of jihadist groups like al-Qaeda and the so-called Islamic State (IS). The current war of words between Riyadh and Tehran is only the latest in a succession of spikes in tension. For eight years, as Iran and Iraq fought each other to a standstill in what locals called “the First Gulf War” from 1980-88, Saudi Arabia and its Arab Gulf allies backed Saddam Hussein’s Iraq as a bulwark against revolutionary Iran. In 1987 over 400 people were killed in Mecca when Iranian pilgrims held a political rally and clashed with Saudi security forces, leading to a three-year break in diplomatic ties. When Iran’s moderate President Khatami came to power in 1997, better relations followed. How wrong they were. In 2005 Khatami was succeeded by the combative President Ahmadinejad and relations with the Gulf Arabs took a nosedive as his mentors, the Iranian Revolutionary Guards Corps, were once more in the ascendant. When the Arab Spring protests erupted in 2011, Iran, which had crushed its own democratic protest movement two years earlier, claimed the credit for sparking reformist movements across the Arab world. This only deepened the Saudis’ distrust of Tehran and in March that year, as Shia-led protests erupted in Bahrain, the Saudis sent 1,000 National Guard troops into Bahrain to guard key installations. It was a largely symbolic gesture, aimed at warning Tehran to back off and forget any idea of toppling the island’s Sunni monarchy and replacing it with a Shia Islamic republic. Today, Iran once again has a relatively moderate, pragmatic president in the form of Hassan Rouhani, while Saudi Arabia has embarked on a new and aggressive foreign policy that has seen it bogged down in an unwinnable war in Yemen. Yet only two weeks ago there was talk of Saudi Arabia and Iran burying their differences around the table at the Syria peace talks. Perhaps a grand bargain could be struck that would finally end that country’s appalling civil war. IS could be defeated as a common foe and Saudi Arabia and Iran could both end their military support for opposing sides. Today those goals, while not impossible, have definitely receded over the horizon. Common and immediate objectives have united Iran and Russia on Syria in the short run, and this unity will probably be flexed against the West’s influence in the long term. However, when it comes to some key aspects of Syria’s future — including the nature of the government and the rebuilding of the Syrian military — differences between Tehran and Moscow are bound to come to the surface. Despite the shared short-term goals that have currently united them on Syria, Iran and Russia’s differences over Syria’s future are bound to lead them into conflict. In broad terms, Iran and Russia have embarked on the same path and entered a new phase of the geopolitical game in Syria. A major power, Russia is trying to redefine its role in the world, as evidenced by its actions in Ukraine and Syria. After 40 years, Moscow has returned to the Middle East to prove that today’s world is different — and multipolar. Iran’s strategy also revolves around redefining its geopolitical role. Iran’s game in Syria, Iraq, Lebanon and even Yemen shouldn’t be considered only from an ideological point of view, but rather as the Islamic Republic seeking what can be defined as living space. In the short term, both Iran and Russia will attempt to preserve Syrian President Bashar al-Assad’s position, help him maintain the territory his government now controls and retake territories that the Syrian army has recently lost. There is also the consideration of Russia seeking to test its new weapons and air force. In summary, the obvious aim is to weaken the position of Assad’s opponents in Syria as much as possible, and this short-term objective will ensure the current Iranian-Russian unity. 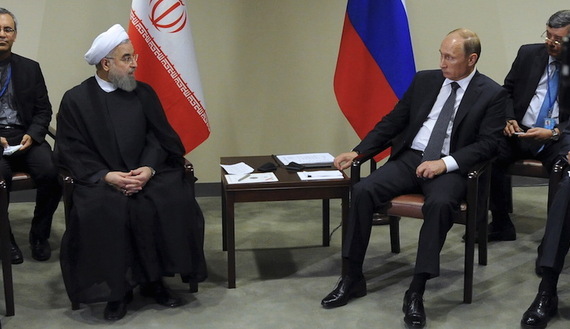 Yet despite this unity, Moscow and Tehran have serious differences over the future of Syria. Moscow and Damascus have traditionally been allies. In the past decades, Russia has been the largest exporter of weaponry to Syria, with Tartus serving as the main logistical hub for Russian arms shipments. Moreover, many Syrian commanders and senior officers have been trained in Russia. In this vein, the structure and equipment of the Syrian military depend on Moscow. Russia is thus pursuing the revival of the Syrian military as its leverage in the country, with the belief that the only way to influence the future of Syria is through restoring the Syrian military to its condition before the eruption of the civil war in 2011 — in other words, a secular army that can easily be controlled. Iran, on the other hand, has chosen a completely different path. When Iran saw that the Syrian army was near collapse, it sought to strengthen irregular forces made up of volunteers. The Islamic Republic thus established a massive force composed of Alawites. The latter has now become the main force combating the different armed opposition groups and is more powerful than the Syrian army on the battlefield. These volunteer forces, which number about 200,000 men, take orders from Iran rather than the Syrian government. According to some reports, about 20,000 Shiites from Iraq, Lebanon and Afghanistan have also joined them. These forces may very well come to play an important role in the future of Syria. Moreover, the Islamic Republic hopes to use them as a viable alternative to the Assad government. This strategy is not unique to Syria but also encompasses Iranian policy toward Iraq, Lebanon and even Yemen. In Lebanon, Hezbollah is at least as powerful as the Lebanese army. In Iraq, Iran-backed Shiite militias are now the main pillars of the country’s armed forces. Moreover, the Yemen army has been incorporated into the popular Ansar Allah forces. Iran and Russia also differ on the future political orientation of the Syrian state. For Iran, it is vital that the future Syrian political system maintains an anti-Israeli stance and continues to act as a bridge between Tehran and Hezbollah. In contrast, Russia is not concerning itself with these matters and is even outright avoiding them. Indeed, Israel and Russia have held several meetings in the past few months at the political and military levels to find common ground on Syria. The two sides have agreed on avoiding probable military confrontation in the skies over Syria, and Moscow has even committed itself to preventing Hezbollah from obtaining Russian arms. It has also pledged to impede actions against Israel by pro-government militias and Hezbollah forces in the Golan Heights. Of note, Israel — unlike its Western allies — has not adopted or expressed a negative stance toward the Russian military presence in Syria, signaling that Moscow does not want Syria’s future political system to maintain an anti-Israeli posture. In this vein, it should be borne in mind that Israel and Russia have also recently been building good relations and even signed contracts related to trade in advanced weaponry in addition to bilateral military exchanges. Indeed, the bigger picture shows that one of the main goals of Russia in Syria is to get more concessions from Europe and the United States on the issue of Ukraine. In short, the differences between Iran and Russia over the future of Syria appear to be quite serious. Yet, these differences are not out in the open as the two countries are trying to achieve common and short-term goals for now. Moreover, it should not be overlooked that Russia is concerned that Iran and the West will narrow the gap between them in the aftermath of the nuclear deal, and that Moscow is therefore trying to show that it enjoys close ties with Tehran. Therefore, it is obvious that with the start of negotiations on the transition of power in Syria and disarmament of different armed groups in the post-Islamic State era, differences between Iran and Russia will inevitably come to the fore. 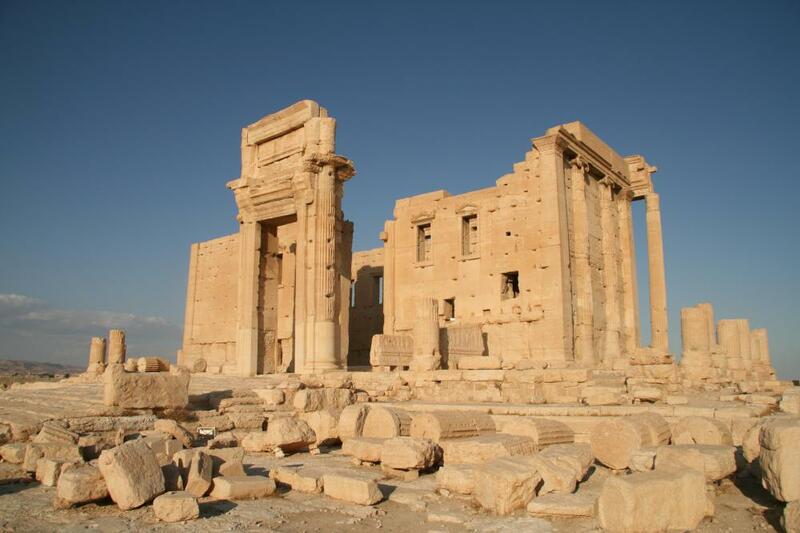 Tears in my eyes as I pen this blog about one of my favourite ancient Roman sites in Syria. 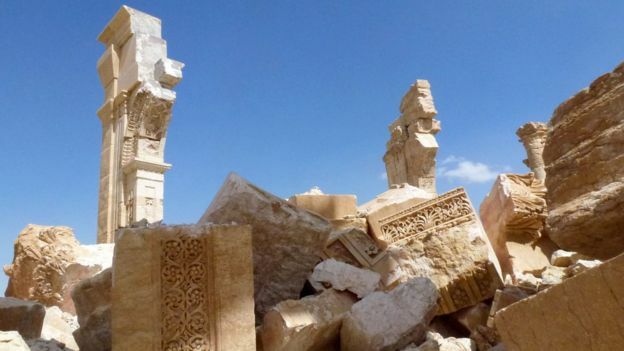 I have just read that the site has been destroyed by Jihadists. 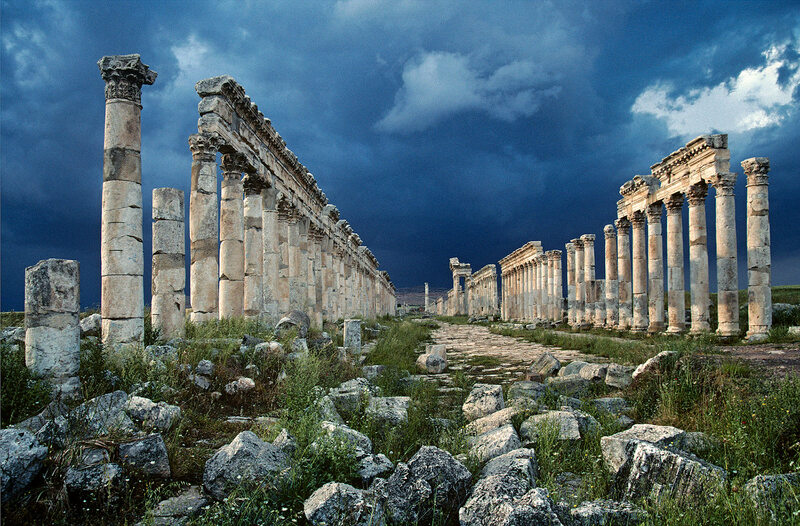 Apamea was a fantastic site with the longest restored Colonnaded street, over 1 km in length. This site has many happy memories for me. I took many groups here and we would have a fabulous picnic lunch overlooking the site. I have been here twice with my wife. 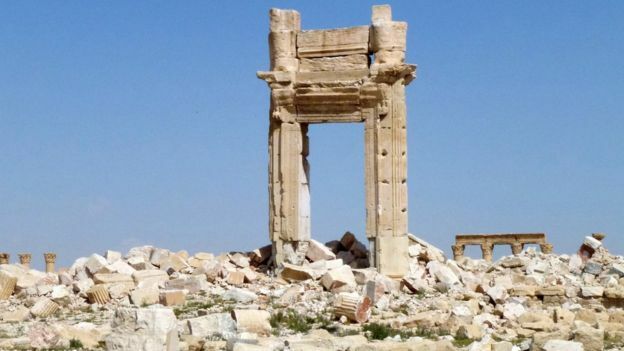 What is so depressing is that this was part of Syria’s unrivalled rich and diverse heritage which future generations will never know ever existed.